With plenty of big business awaiting the winner in a crowded welterweight division, it was WBC champion Shawn Porter who was able to survive and advance against an upset-minded opponent. Porter (30-2-1, 17 KOs), who was forced out of his trademark aggressive style, hung on for a split decision on Saturday against Yordenis Ugas (23-4, 11 KOs) to defend his title in a Premier Boxing Champions card at Dignity Health Sports Park in Carson, California. Two of three judges favored Porter by scores of 116-112 and 115-113. The third judge had it 117-111 in favor or Ugas. CBS Sports scored it 115-113 for Ugas. Respect box? Subscribe to my podcast -- State of Combat with Brian Campbell -- where we take an in-depth look at the world of boxing each week. "I think we fought a good, smart tonight and I think we fought very consistent," Porter said. "I think we won the majority of the rounds. I would not have given Ugas very many." Porter, 31, out-landed Ugas 144 to 128, according to CompuBox, over 12 rounds which could've been scored either way. While the judges were ultimately split on who should've won the fight, one thing that seemed to be universal was the feeling that both fighters failed to capitalize late by swinging the momentum into their favor. "It was a great fight but I thought both fighters could have done more," said WBA welterweight champion Keith Thurman, a former Porter opponent who worked the fight for Fox as a studio analyst. "It was a good fight but the decision is what it is." After Porter seemed to control the early rounds by mixing pressure and counter fighting, it was Ugas who began to discipline the champion by landing the more telling blows. Not only was the 32-year-old Ugas, a native Cuban, catching Porter cleanly on the way in, he talked trash throughout and seemed through his body language to show he was the more dominant in the middle rounds. Regardless of how you scored it, Ugas was successful in forcing Porter to lower his output and be more selective, which ultimately nearly cost him on the scorecards. "It looks like [Porter] has been boxing more on the outside and [his corner] is trying to convince Shawn that he can win fights on the outside," Thurman said. "He did win this fight on the outside tonight but I don't think that he will ever win the fight on the outside with me. I don't think that's his strong point. He should stick to his strong point and throw more punches on the inside. That's what makes it a rough fight." 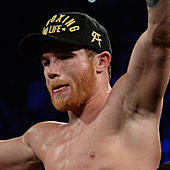 Porter, who lost a close decision to Thurman in their 2016 title bout, said his father and trainer Kenny Porter was pleased with his performance throughout, and that despite the close nature of the fight, pressing the action late wasn't necessary. "My dad does not shoot me any gas. My dad does not tell me lies, he does not blow smoke," Porter said. "I came back [to the corner] and my dad said I'm doing a beautiful job of boxing and my jab looks beautiful. We wanted to outbox him and then turn it on and press him, but my dad did not see a point in doing that tonight. "It's not that we wanted to fight safe but that it was the smartest way to fight. No one has ever seen me fight like that before and that might have thrown the judges a little bit but either way I'm still WBC champion." Save for a pocket of phone booth fighting in Round 5, the majority of the contest was tactical instead of action-packed. Inevitably, the slower pace favored the more technical Ugas, who may have been able to win had he thrown more punches in the second half. Porter benefited in Round 12 from a knockdown that was ruled a slip by referee Jack Reiss despite the fact that replays showed the fighters' legs had never touched and Porter went down from a right hand that was largely blocked. "Honestly, I'm a little frustrated that I wasn't able to get to the body as much as I planned or as much as I wanted to, but as the clock ticks, you do what is working," Porter said. "What was working tonight was the foot movement. It didn't allow Ugas to get close to me and made him continue to reset." The victory allows Porter to stay eligible for a major fight in the second half of 2019 against a number of potential options, including a rematch with Porter, a pay-per-view bout with Manny Pacquiao or the winner of the March 16 title bout between unbeatens Errol Spence Jr. and Mikey Garcia.